Ready for an easy sensory activity? Let’s make some gak! Gak is a pretty magical concoction in the toddler-preschool world. 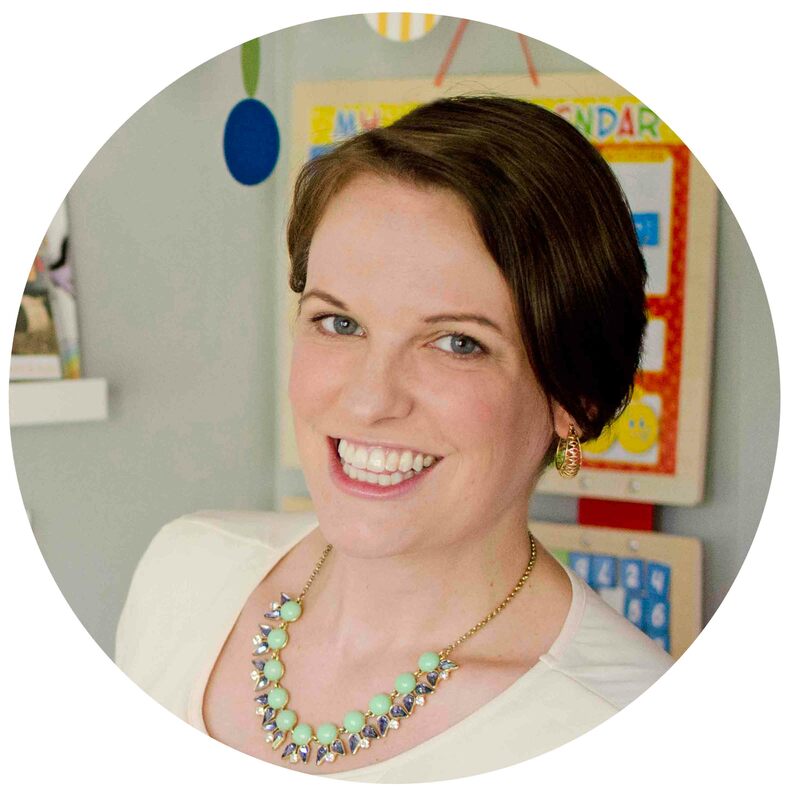 Actually, it’s a pretty magical concoction in the 30-something mom world (at least it is for this gal). 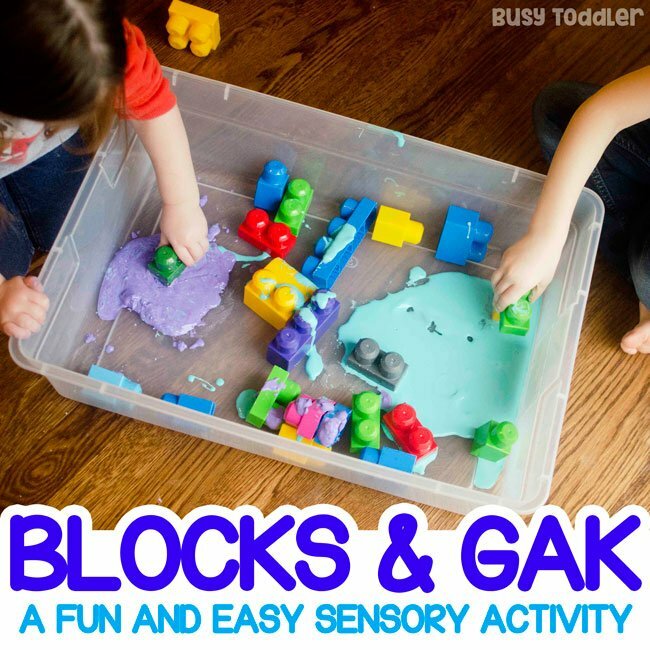 Gak makes for one awesomely easy sensory activity that’s perfect for little ones. Let’s be real clear that gak is NOT slime. This is a taste-safe sensory activity using two ingredients that you probably already own. 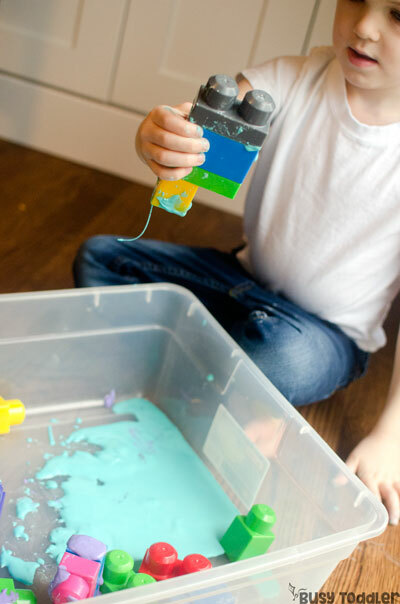 Add in some blocks and you have one easy sensory activity, put together in less than 3 minutes. What the Gak is that? Gak is amazing to play with. It drips like a liquid, but breaks like a solid. It’s weird, and bizarre, and completely awesome. You read that right: it’s just cornstarch and water. That’s it. Mix together 2 parts cornstarch to 1 part water and you’ve got gak. If you want to make colored gak, add some food coloring to the water before you mix it. 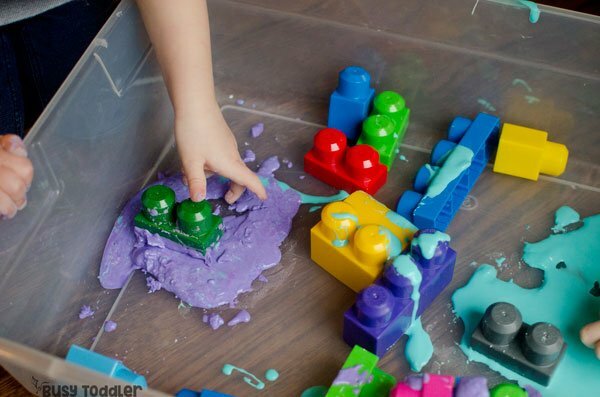 For this easy sensory activity, I used 1 cup of cornstarch and 1/2 cup of water for each color of gak. It was PLENTY for my two kids (3 and 4.5) to go nuts with. 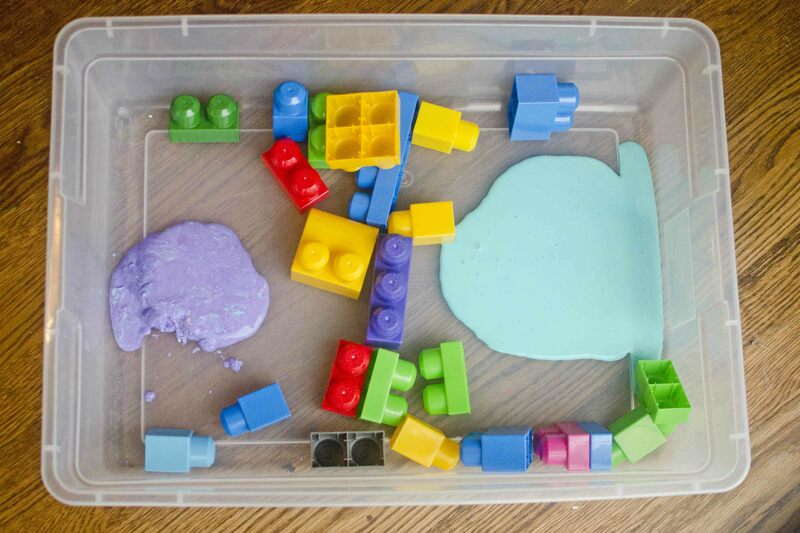 I poured the two batches of gak into my storage container and dumped in a bunch of Mega Bloks. Why? Why not. 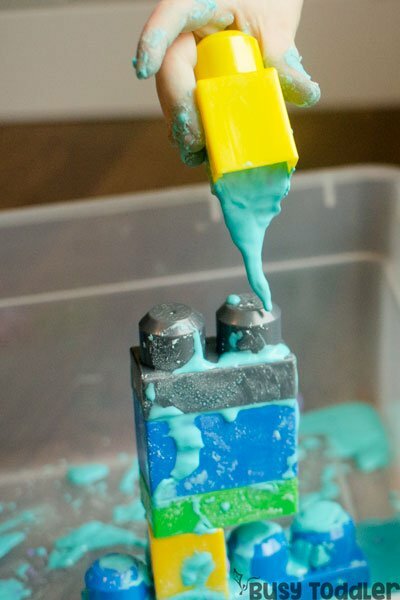 My kids played for almost a half hour using the blocks to scoop and pour, they stamped them into the gak and made messy towers, and yes…. I won’t sugar coat it: this was messy. But messy is good for kids. 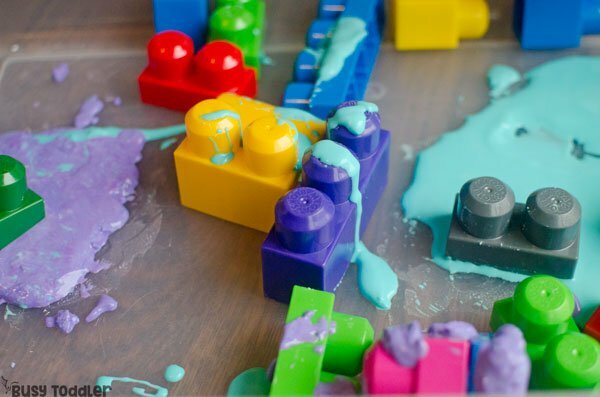 Messy is FINE for kids. Messy is a-ok. And it’s really ok when you know how to handle it and have a few systems in place to take care of the things. We did this on the hard floor. It’s just cornstarch and water, so no matter how insane it looks – we both know that wipes up easy. If you don’t have a hard floor, try doing messy activities on a toddler tarp aka a shower curtain liner. Have a wash cloth with you. I keep a wash cloth near my kids or firmly in my hand at all times for emergency wipe ups, like when my daughter wiped the gak in her hair. Fixed it in a hot second! 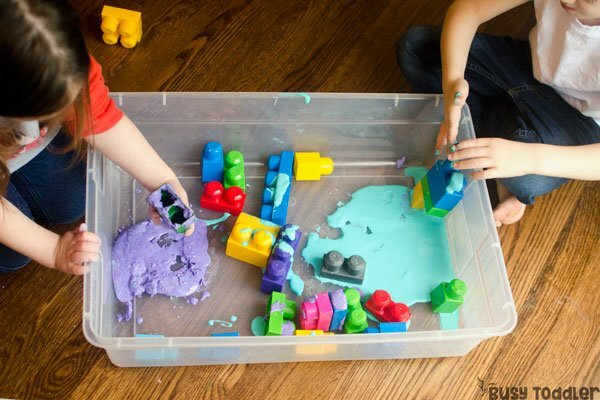 Always play near a water source: have a sink close to you so you can clean the kids up ASAP or put them in the tub with the blocks for a impromptu block bath while everyone gets clean. 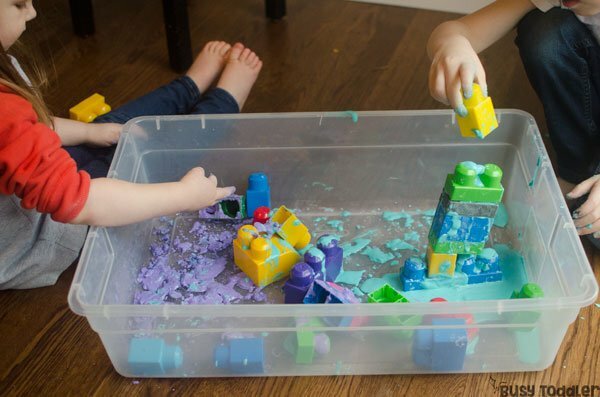 Don’t worry, my blocks are just fine – they rinsed right out along with the kids and the storage container, and all was cleaned in under 5 minutes. 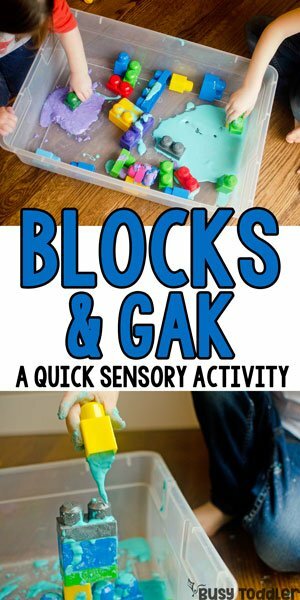 This easy sensory activity was fantastic for me and my kids – I got to sip hot coffee and watch them play, they got a fun sensory experience and everything came clean. Gak is pretty much the bestest stuff around so if you haven’t tried it yet…now’s the time. 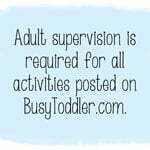 Easy sensory play for the win!